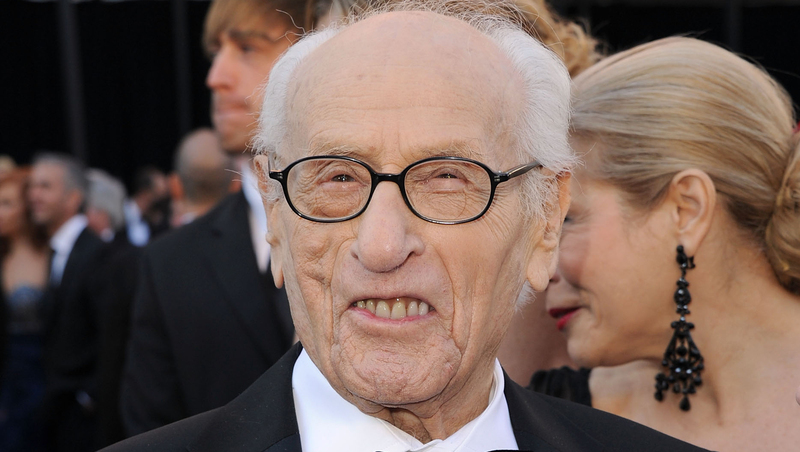 Eli Wallach, star of "The Good, the Bad and the Ugly" and "The Magnificent Seven," died on Tuesday at his New York City home, his agent confirmed to CBS News. He was 98. The veteran character actor, whose career spanned six decades, was an early adopter of method acting and continued his craft well into his 90s with recent roles in Oliver Stone's "Wall Street: Money Never Sleeps" (2010) and "The Ghost Writer," directed by Roman Polanski (2010). Through the years he starred alongside some of Hollywood's biggest names, including Marilyn Monroe, Clark Gable, Clint Eastwood, Steve McQueen, Yul Brynner, Peter O'Toole and Al Pacino. In 2010, while accepting an honor at the Governors Awards, Wallach told the crowd, "As an actor I've played more bandits, thieves, killers, war lords, molesters and mafiose that you can shake a stick at." Born on Dec. 7, 1915 in Brooklyn, N.Y, Wallach was the son of Jewish immigrants. He graduated with a bachelor's degree from the University of Texas at Austin and received a master's degree at City College of New York. Wallach studied at Neighborhood Playhouse with Sanford Meisner, but put his acting dreams on hold while serving two years in the U.S. Army during World War II. When he returned to New York, Wallach continued pursuing his love of acting, making his Broadway debut "Skydrift" in 1945. That triggered more theater, with roles in two Tennessee Williams works: "Camino Real" and "The Rose Tattoo," for which he scored a Tony Award in 1951. Soon, Wallach would land his first film role in 1956, appearing in the Elia Kazan-directed "Baby Doll," written by Williams. His other movies included "Mystic River," "The Holiday," "The Victors," "Lord Jim," "The Misfits" and "The Godfather Part 3," among others. Wallach was probably best known for his turn in western films, including 1960's "The Magnificent Seven," in which he portrayed Calvera, the head of a Mexican gang. Six years later, he appeared in Sergio Leone's 1966 western "The Good, the Bad, and the Ugly," alongside Clint Eastwood ("the good") and Lee Van Cleef ("the bad"); Wallach played "the ugly" Tuco. He also hit the big screen in 1962's "How the West Was Won" with Henry Fonda. In 2010, Wallach took home an honorary lifetime achievement Oscar. He received nominations later in career, too, with Emmy nods for performances on "Studio 60 on the Sunset Strip" and "Nurse Jackie." He documented his career in the 2005 memoir, "The Good, The Bad and Me: In My Anecdotage." During his lifetime achievement Oscar acceptance speech in 2010, Wallach gave a glimpse into his personal life: "As a civilian I collect antique clocks, tell endless stories of my days as a medic in World War II, watch every tennis match, live for my family, daily mail, run the dishwasher, take pictures of faces in the bark of trees..."
Wallach is survived by Anne Jackson, his wife of 66 years. Jackson, a film actress, sometimes shared the screen with her husband. They have three children: Katherine, Peter and Roberta. Wallach's death was first reported by the New York Times.